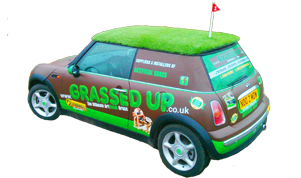 Grassed Up has its grass manufactured and sells it direct, this allows us to keep the price very competitive. We only sell top quality grass at a very low price, the same quality grass elsewhere is at least 40% more expensive. 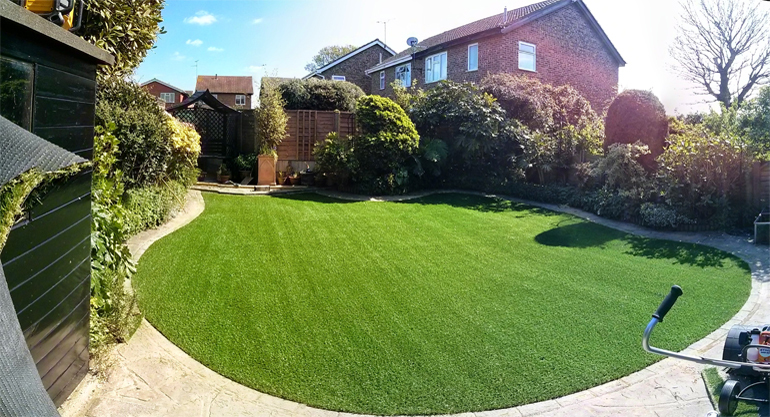 Our grass is so thick it doesn't need any sand or granule infill. It is covered in a silica so dirt doesn't stick to it and when it rains whatever is on it will get washed through it. This also means if you slide along it it wont burn your skin. We offer free quotations, we can come to your house and measure up or if you send us a photo with the dimentions we will send you a quote.